The Indian insurance market was nationalised shortly after India's independence in 1947, and remained so until the government's industrial policy of 1991 announced the advent of a liberalised Indian economy, which included private participation in the insurance sector. In 1993, the government set up the Malhotra Committee to review the then-existing structure of the regulation and supervision of the insurance industry and to suggest reforms. The Committee recommended, inter alia that the private sector be permitted to enter the insurance industry and that foreign insurers be allowed to enter the Indian market by forming joint venture companies with Indian partners. There was considerable delay in implementing these recommendations, and in particular a rather lengthy debate over the right level of the cap on foreign ownership, but in 1999 the Insurance Regulatory and Development Authority of India (IRDAI) (formerly, the Insurance Regulatory and Development Authority (IRDA)) was set up as an autonomous body to regulate the insurance industry and develop the insurance market, and in August 2000 private competition was permitted with a foreign ownership cap of 26 per cent. There were growing complaints about the relatively low 26 per cent cap on foreign investment. The cap on foreign investment was intended to be raised to 49 per cent, and ultimately, after a long legislative history, on 20 March 2015, the Insurance Laws (Amendment) Act 2015 (the Amendment Act) was notified, which, inter alia, increased the foreign investment cap to 49 per cent. The Amendment Act also permitted the establishment of branch offices in India by foreign reinsurers. India presently has 24 life insurers, 27 general insurers and six stand-alone health insurers, 27 third-party administrators, 428 insurance brokers, 24 web aggregators, four insurance repositories, and innumerable corporate agents and insurance agents. There are currently nine foreign reinsurer branches in India, including the branch office of Lloyd's of London set up under the Lloyd's India Regulations. In addition, at present, there are two reinsurance companies in India: the government-owned General Insurance Corporation; and ITI Reinsurance Limited, which was recently granted registration by the IRDAI. Insurance and reinsurance companies, foreign reinsurer branches and intermediaries in India are governed by the IRDAI. Overseas non-admitted insurers cannot write direct insurance business in India. Non-admitted insurers who have registered with IRDAI as cross-border reinsurers can reinsure risks written by Indian insurers in accordance with the IRDAI's regulations on the reinsurance of life and general insurance business. Pursuant to the Amendment Act, overseas non-admitted reinsurers are now also permitted to access the Indian market by way of branch offices set up in India and service companies set up under the IRDAI (Lloyd's India) Regulations 2016 (the Lloyd's India Regulations). Indian residents may purchase life insurance policies issued by an insurer outside India provided the policy is held under specific or general permission of the Reserve Bank of India. Indian residents are prohibited from purchasing insurance in respect of any property in India or any ship, vessel or aircraft registered in India with an insurer outside India without the permission of the IRDAI. Indian residents can, however, purchase health insurance policies from an insurer outside India provided aggregate remittance including amount of premium does not exceed the limits prescribed by the Reserve Bank of India under the Liberalised Remittance Scheme from time to time. The regulations governing the operation and functioning of insurance brokers in India were recently updated by way of the IRDAI (Insurance Brokers) Regulations 2018. Only insurance brokers that are registered with the IRDAI as direct brokers, reinsurance brokers or composite brokers in accordance with the IRDAI (Insurance Brokers) Regulations 2018 can operate as insurance brokers in India. The new regulations have set out provisions for sale of insurance online and sale of insurance using distance marketing modes. Further, the regulations have also set out revised norms with regard to the minimum capital requirements for insurance brokers, agreements with third-party service providers, remuneration or fee receivable by the insurance brokers and the services that a registered insurance broker is permitted to perform. The general rule is that only licensed insurance agents and insurance intermediaries can distribute insurance products for Indian insurers. Unlicensed persons are prohibited from soliciting and procuring insurance business or providing introductions or leads. Individuals employed by Indian insurers must be internally trained by the insurer to carry out the distribution of insurance products. Indian insurers are also permitted to use individual insurance agents that are licensed in accordance with the IRDAI (Appointment of Insurance Agents) Regulations 2016 for the distribution of insurance products. IRDAI has also notified the guidelines on engaging point of sales persons for life and non-life insurers, for solicitation and procurement of point of sales products designed by such insurers. Only licensed or registered insurance agents and insurance intermediaries can solicit and procure insurance business for insurers. Insurers are also permitted to engage licensed telemarketers and registered web aggregators for the solicitation and procurement of insurance business, and to purchase access to the database of licensed referral companies. In August 2017, the IRDAI notified the Guidelines on Motor Insurance Service Provider (MISP Guidelines) to identify and regulate the role of automobile dealers in distributing and servicing motor insurance products. Pursuant to the notification of the MISP Guidelines, a duly registered MISP is permitted to solicit, procure and service motor insurance policies for insurers and insurance intermediaries that engage such MISP. under the Companies Act 2013: insurance of deposits accepted by companies. Dispute resolution in India is broadly divided into three mechanisms: (1) civil courts; (2) consumer fora; and (3) arbitration and alternate dispute resolution. The government has recently introduced the Commercial Courts, Commercial Division and Commercial Appellate Division of High Courts Act 2015 (the Commercial Courts Act), which provides for the establishment of specialised courts to adjudicate on disputes pertaining to transactions of merchants, bankers, financiers and traders. Amendments have also been made to the Arbitration and Conciliation Act 1996 (ACA) to ensure that commercial arbitrations are completed within a specified timeline and an attempt has been made to do away with the archaic system of awarding costs followed in India, and to make the costs more realistic. Further detail on these regimes is provided in Section IV, below. Premiums received on account of insurance and reinsurance business attract applicable taxes including goods and services tax. Income tax laws provide deductions to the policyholder on life and health insurance premiums paid. The IRDAI has recently issued an exposure draft on Reinsurance Regulations 2018 that will apply to both life insurers and general insurers and sets out the norms to be followed for reinsurance placements, and also proposes to set out a revised order of preference of cessions for reinsurance placements by Indian insurers. The minimum paid-up equity capital for an insurer is 1 billion rupees. Any direct or indirect foreign investment in an insurer is restricted to 49 per cent; the previous requirement to obtain an approval from the government of India to increase the foreign investment in an insurer from 26 per cent to 49 per cent has been removed. The IRDAI has also mandated that insurance companies and insurance intermediaries must be 'Indian owned and controlled'. The Foreign Investment Rules read with the Guidelines on 'Indian owned and controlled' of 19 October 2015 provide that 'Indian ownership' means that more than 50 per cent of the equity capital is beneficially owned by resident Indian citizens or Indian companies, which are owned and controlled by resident Indian citizens. The IRDAI has released the IRDAI (Investment by Private Equity Funds in Indian Insurance Companies) Guidelines 2017 of 5 December 2017, to facilitate and regulate investment by private equity funds in insurance companies, as investors and promoters. The Guidelines have been made applicable to unlisted Indian insurance companies and to the private equity funds who have invested in such unlisted insurance companies. The Guidelines allow private equity funds to invest either directly in Indian insurance companies in the capacity of an investor or to invest through a special purpose vehicle in the capacity of a promoter in the insurance company. There has been a significant increase in the volume of mergers and acquisition activity in the insurance sector in India. Additionally, various insurance companies have issued their initial public offerings in the past year, and other insurance companies are looking to follow suit in the coming year. The Insurance Act 1938, the Insurance Regulatory and Development Authority Act 1999, the Marine Insurance Act 1963 and the regulations, guidelines, circulars and notifications issued by the IRDAI, govern insurance and reinsurance business in India. Indian courts may refer to common law if there are no judicial precedents available under Indian law. Common law is, however, not binding on Indian courts. The terms and conditions of property and engineering insurance covers are currently governed by the policy wordings specified by the former Tariff Advisory Committee. Very few modifications to these policy wordings have been permitted. On all other lines of insurance business (except mega risks, which are written on a special contingency basis), insurers are permitted to issue only those policy terms and conditions, endorsements and other ancillary documentation that have either been approved by the IRDAI in advance or filed with the IRDAI, in accordance with the prescribed product filing procedures. In addition, for health insurance policies, the IRDAI has specified a standard set of definitions, standard nomenclature for critical illness, a standard list of excluded expenses, and standards and benchmarks for hospitals in the insurance network. The IRDAI has also specified a number of other conditions for health insurance policies, making these policies highly regulated. details of grievance redressal mechanism along with address and contact details of insurance ombudsman within whose territorial jurisdiction the branch or office of the insurer or the residential address or place of residence of the policyholder is located. All condition precedents and warranties are required to be stated in express terms in the policy documentation. In addition, all product literature is required to be in 'simple language' and 'easily understandable to the public at large', and all technical terms used in the policy wording are to be clarified to the insured. To the extent possible, insurers are also required to use similar wording for describing the same insurance cover or the same requirements across all their products, particularly in relation to clauses on renewal, basis of insurance, due diligence, cancellation and arbitration. 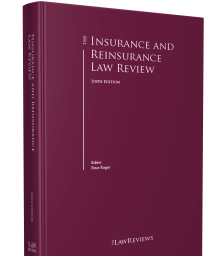 Under Indian law, an insurance contract is one of utmost good faith, and insurers are entitled to a fair presentation of the risk prior to inception. The Indian Marine Insurance Act 1963 obliges an insured to make a full and frank disclosure prior to inception, and the Supreme Court has stated that this includes by way of the proposal. There is an argument that an insurer may limit the insured's duty by limiting the questions asked in the proposal form unless the proposal form contains a statement that has the effect of negating any restriction of the disclosure obligation by reference to the questions asked. The IRDAI (Protection of Policyholders' Interests) Regulations 2017 also impose an obligation on the insured to disclose all material information. If there has been a misrepresentation or non-disclosure of a material fact, then an insurer may avoid the policy ab initio. Unless the misrepresentation or non-disclosure was fraudulent, the premium must be returned to the policyholder. pursuant to the Health Regulations, the IRDAI is also monitoring wellness benefits provided to policyholders under health insurance policies by mandating that such policies clearly stipulate the manner of calculation, accrual, redemption and carrying forward of such benefits. There is one other feature of the Indian insurance sector that is worth mentioning. It concerns government-owned insurers, which are considered instruments of the state and are thus expected to act justly and reasonably. Insurance brokers, corporate agents, web aggregators, referral companies, insurance marketing firms and insurance agents are granted a licence for a fixed period of three years, following which the licence may be renewed for a further three years at the discretion of the IRDAI. Insurance brokers and web aggregators are required to exclusively carry on the distribution of insurance products, while corporate agents may have a main business other than the distribution of insurance products and newly introduced insurance marketing firms are allowed to sell or service other financial products. A corporate agent has a main business other than insurance distribution, then the corporate agent is not permitted to make the sale of its products contingent on the sale of an insurance product or vice versa. Corporate agents were previously restricted to acting for a maximum of one life insurer and one general insurer; however, following the notification of the IRDAI (Registration of Corporate Agents) Regulations 2015, corporate agents are permitted to adopt an open architecture under which they can act for up to three life insurers, three general insurers and three health insurers. The IRDAI's regulations specify separate codes of conduct for each insurance intermediary that governs the conduct expected of each intermediary while performing their functions. Breach of the respective code of conduct could lead to suspension or cancellation of their licence or certificate of registration. The regulatory limits on the commission or remuneration payable to insurance agents and insurance intermediaries for the solicitation and procurement of insurance business continue to remain under the recently issued IRDAI (Payment of Commission or Remuneration or Reward to Insurance Agents and Insurance Intermediaries) Regulations 2016 (Commission Regulations). However, insurers are now permitted to make other payments in the form of rewards to insurance agents or insurance intermediaries. Insurance agents and insurance intermediaries are also prohibited from offering rebates to customers on the premium or commission receivable. All insurance brokers are required to be part of the Insurance Brokers Association of India. Insurance policy terms and conditions are meant to specify the requirements for notification of claims or circumstances that may give rise to a claim. Although it is common for these clauses to be expressed as conditions precedent to the insurer's liability to make payment of the claim, the IRDAI's Circular of 20 September 2011 said that insurers cannot reject claims on the basis of delayed notification if the delay was unavoidable unless the insurer is satisfied that the claim would have been rejected in any event. However, judicial decisions have taken a different approach in that the rejections of claims on the ground of delayed notification have been upheld. The position is not settled and the Supreme Court in its recent order in Gurshinder Singh v. Sriram General Insurance Co Ltd [SLP (C) No 24370/2015] has referred this question to a three-judge bench. Insurance policy terms and conditions are also meant to expressly state the insurer's grievance redressal procedure and the applicable dispute resolution provisions for differences or disputes arising under the policy. While there are no specific regulatory requirements in this regard, it is common for retail policies to give exclusive jurisdiction to the Indian courts and commercial lines policies to contain express arbitration provisions. At present, general insurance policies are usually annually renewable policies with the entire premium being paid in advance, and it is not common to offer these policies on a long-term basis or to provide for premium payments in instalments. Life insurance policies usually have policy terms of at least 10 years and, unless a single premium is payable in advance, it would usually be payable at regular intervals during the policy terms. All life insurance policies are required to contain express provisions and conditions for reinstatement of the policy in the event of discontinuance of premium payments. Policyholders have a statutory right to sue for relief under an insurance policy in Indian courts, and Indian law shall be applicable. This right cannot be abridged by the terms of the insurance policy or otherwise. It is common for retail policies to be subject to the exclusive jurisdiction of Indian courts and for commercial lines policies to contain arbitration clauses. An insured can approach a civil court or (if the dispute qualifies) a consumer court. An insurer can only approach a civil court. Both civil and consumer courts have territorial and pecuniary jurisdiction, so actions before them need to be brought keeping in mind the geographical location pertaining to the cause of action or the place where the defendant resides and the value of the claim. The consumer courts follow a three-tier hierarchy, which, in ascending order, is the District Forum, followed by state consumer dispute redressal commissions (state commissions), then the National Consumer Dispute Redressal Commission (NCDRC). There are 626 district fora, which can accept claims up to a value of approximately US$31,400. There are 36 state commissions, which can accept claims of between approximately US$31,400 and US$157,000, and appeals against the decisions of the district fora. At the apex lies the NCDRC, which accepts matters with a value of over US$157,000 and appeals against the decisions of the state commissions. A decision of the NCDRC on matters with a minimum value of US$157,000 can be challenged before the Supreme Court of India (India's highest court). The Consumer Protection Bill, 2018 has recently been introduced in the Parliament which, inter alia, proposes the enhancement of these pecuniary limits to US$157,000 for the District Commission, US$1,570,000 for the State Commission and above US$1,570,000 for the NCDRC. Similarly, the broad ascending hierarchy of the civil courts comprises around 600 district courts, 24 high courts and the Supreme Court of India, which only hears appeals and cases from the lower courts that involve breaches of fundamental rights. Four of the 24 high courts (Delhi, Bombay, Madras and Calcutta) have original jurisdiction to hear matters of a civil nature over a certain pecuniary value. One of the high courts (Delhi) has jurisdiction to hear matters involving pecuniary values of US$313,800 and above. The district courts under them do not hear matters involving values higher than that limit. The remaining district courts have an unlimited pecuniary jurisdiction, and are the competent courts of first instance to hear any insurance dispute falling within their territorial jurisdiction. Recently, the Commercial Courts Act has led to the establishment of commercial courts at the district level and commercial division, and commercial appellate division benches within the High Courts. These commercial courts, among other disputes, are specially assigned to hear insurance and reinsurance matters. The pecuniary jurisdiction of these courts is disputes that have a value of US$157,000 and above. There is no right to a hearing before a jury, and cases are decided by judges. Unless otherwise expressly provided in law, an appeal lies from every decree passed by a court exercising original jurisdiction to the court authorised to hear appeals from the decisions of such court, unless such decree has been passed with the consent of the parties. As a general rule, an appeal will lie if there is a substantial question of law involved. Facts established at the lower court are not normally disturbed. In civil disputes, the usual sequence is that the decision of a district court is appealable before a single judge of the High Court. The single judge's decision can be appealed before a division bench of the High Court. The final stage of appeal is before the Supreme Court of India. The limitation period for filing an appeal ranges from 30 to 90 days depending on the stage of appeal, and delays can be condoned at the court's discretion for sufficient cause shown and reasonable reasons resulting in such delay. The Code of Civil Procedure 1908 (CPC) governs the method of instituting and trying civil suits. The recently enacted Commercial Courts Act for the first time provides for summary judgment in a suit. Under the Commercial Courts Act, plaintiffs can apply for summary judgment in a suit after summons have been served upon a defendant. If it is convinced that the defendant has no real prospect of succeeding in a claim, the court may grant a summary judgment. In other circumstances, the court may pass conditional orders allowing a defendant to defend the suit after payment of a deposit or on such other terms as the court may deem fit. The CPC allows either party to the action to apply to the court for an order directing the other to make discovery. The court will consider the relevance of the documents requested for the dispute to be determined, and direct the discovery of a particular document or type of document accordingly. The CPC also allows a party to give notice to the other party in whose pleadings or affidavits a reference is made to any document to produce such document for inspection. Non-compliance with a discovery order can lead to the dismissal of the action or defence, as the case may be. The CPC also allows a court to summon any person, even if such person is not a party to the proceedings, and direct it to produce any document, material or testimony regarding the dispute, and to do so in person at the court. Indian courts have held that the position under Indian law relating to privilege is similar to that under English law. In this regard, the Bombay High Court has effectively recognised privilege over documents created in contemplation of litigation. As regards documents prepared in the course of settlement negotiations or attempts, it is common for parties to mark them 'without prejudice', but they are not expressly protected as privileged documents under the Evidence Act, and as a matter of practice are commonly produced before courts. A court has the power to require witnesses who are within its jurisdiction to give evidence and to issue an arrest warrant if a witness refuses to comply. A court cannot compel the attendance of a witness outside its jurisdiction, and thus cannot impose any penal consequences for non-attendance. The CPC allows a court to issue a commission for the examination of a witness outside its jurisdiction and allows it to issue a commission for the examination of a person resident outside India. If the person whose attendance as a witness is deemed necessary by the court is a party to the action and such person fails to attend or give evidence, the court may, in considering the absence of such person, dismiss the plaint or the defence, as the case may be. Courts may award the successful party its costs, but the award is at the court's discretion. It is common for costs awards to be made in favour of a successful party, but the level of costs awarded is rarely sufficient to cover the actual costs incurred. The Supreme Court has recently commented that costs awards are too low, and therefore do not serve as a deterrent to discourage vexatious litigation. Referring to a statutory upper limit of US$47.04 for costs awards in the case of vexatious litigation, the Supreme Court suggested that the Parliament should consider raising the limit to US$1568. The recently enacted Commercial Courts Act attempts to rectify the situation, as it amends the CPC to permit courts to grant actual costs to a successful party. In view of the low level of costs awarded, there are, as yet, no material advantages in making a pretrial offer in civil litigation. However, with the recent changes in the law, this situation may change. In addition, Section 89 of the CPC embraces a provision for the settlement of disputes outside court. All cases that are filed in court need not necessarily be decided by the court itself. Keeping in mind the time involved in legal proceedings and the limited number of judges available, it has now become imperative to resort to an alternative dispute resolution (ADR) mechanism with a view to end litigation between parties at an early date. The ADR mechanism as contemplated by Section 89 is arbitration, conciliation or judicial settlement, including settlement through a Lok Adalat (a mode of ADR) or mediation. There is usually a mediation cell associated with each court. The ACA is based on the UNCITRAL Model Law. The ACA preserves party autonomy in relation to most aspects of arbitration, such as the freedom to agree upon the qualification, nationality and number of arbitrators (provided this is not an even number), the place of arbitration and the procedure to be followed by the tribunal. The principle of party autonomy has recently been confirmed by the Supreme Court of India in a number of cases. The decisions restrict the scope of the Indian courts to intervene in respect of those arbitrations where the seat is non-Indian. The Arbitration and Conciliation (Amendment) Act 2015 has amended the ACA. This Act makes the ACA a preferred reference for settlement of commercial disputes, as it not only sets out strict timelines for completion of the arbitral proceedings but also permits parties to choose to conduct arbitration proceedings in a fast-track manner, with the award being granted within six months. In addition to the foregoing, a cost regime with regard to providing the costs of arbitration proceedings to a successful party has also been set out. the court can set aside an award in an arbitral proceeding where it has been passed following material errors of jurisdiction or in prejudice of the public interest. The court's power is limited in this regard, and it cannot interfere in the reasoning given for arriving at the award. The ACA recognises arbitration and conciliation as valid forms of ADR. The courts may direct the parties to refer their disputes to ADR with the parties' consent. There are a number of mediation cells associated with the courts, but the consent of the parties is a condition precedent to mediation. The mediator is either selected by the parties or by the court. The mediator acts as a facilitator to encourage parties to settle their disputes. However, unlike arbitration, the mediation process is not binding on either party. The Indian insurance sector has witnessed significant changes over the past year. 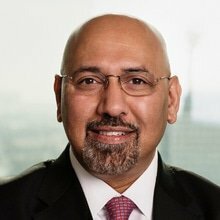 The exposure draft on Reinsurance Regulations 2018, which will apply to both life insurers and general insurers, proposes to prescribe a new order of preference and cession for Indian insurers that will replace the old order of preference and describe the new hierarchy between various entities with which an insurer can place its reinsurance business. The IRDAI has notified the IRDAI (Outsourcing of Activities by Indian Insurers) Regulations 2017 to prescribe the norms applicable to Insurers with regard to arrangements with third-party service providers regarding such activities that an insurer is required to ordinarily perform itself. These regulations also expressly set out the list of activities that an insurer is prohibited from outsourcing to third-party service providers. In addition, the IRDAI has also notified the IRDAI (Protection of Policyholders' interests) Regulations 2017 (Policyholder Regulations) that set out the standards for the sale, servicing and claim procedure to be followed with respect to the insurance policies. Insurers are required to update their existing products to reflect the new provisions of the Policyholder Regulations. The IRDAI issued the IRDAI (Insurance Web Aggregators) Regulations 2017 to replace the erstwhile IRDA (Web Aggregators) Regulations 2013. Additionally, the IRDAI has recently issued the IRDAI (Insurance Brokers) Regulations 2018 to replace the previous IRDA (Insurance Brokers) Regulations 2013. IRDAI has notified the MISP Guidelines to regulate the role of automobile dealers in the distribution and servicing of motor insurance products. Pursuant to the notification of the MISP Guidelines, a duly registered MISP is permitted to solicit, procure and service motor insurance policies for insurers or insurance intermediaries, as the case may be, in accordance with the provisions of the MISP Guidelines. The Indian insurance industry has seen significant growth and development in recent years. The removal of the requirement to seek an approval from the government of India to increase the foreign investment cap from 26 per cent to 49 per cent in insurers and insurance intermediaries is one of the factors that has led to an increase in the quantum of economic investments in existing Indian players, along with various foreign players exploring options of setting up insurance joint ventures in India. Moreover, there has been a noteworthy increase in the number of players in the reinsurance space, where several foreign reinsurers have recently been permitted to set up branches in India. Lloyd's of London has set up a branch office in India under the Lloyd's India Regulations. It is also relevant to note that with insurers being permitted to issue products under the 'use-and-file' process, there is an increase in product development and innovation in India. However, these significant yet frequent changes in the regulatory environment have led to a state of flux in the insurance industry. For instance, while 49 per cent of foreign investment is permitted in insurers and insurance intermediaries, the regulatory requirement of such entities being 'Indian owned and controlled' has led to implementation concerns between the Indian and foreign shareholders of such entities. Further, with the order of preference for cession of insurance risks by Indian insurers being brought into effect, insurers are expected to revise their reinsurance programmes and file such programmes with the IRDAI within the prescribed time frames. The Indian insurance sector is currently grappling with the implementation of these regulatory changes, which are expected to continue for a few more years. Consequently, players in the Indian insurance sector will be required to put in place systems and resources to keep pace with such regulatory developments. 1 Neeraj Tuli is the senior partner and Celia Jenkins is a partner at Tuli & Co.